Banner courtesy of the amazing Mendelssohn! Check out more of their art here! Because somehow, Egyptian gods, the SPC universe, mysterious soul-vacuum devices, bad puns, and seagull scientists can all happily coexist in the same storyline. 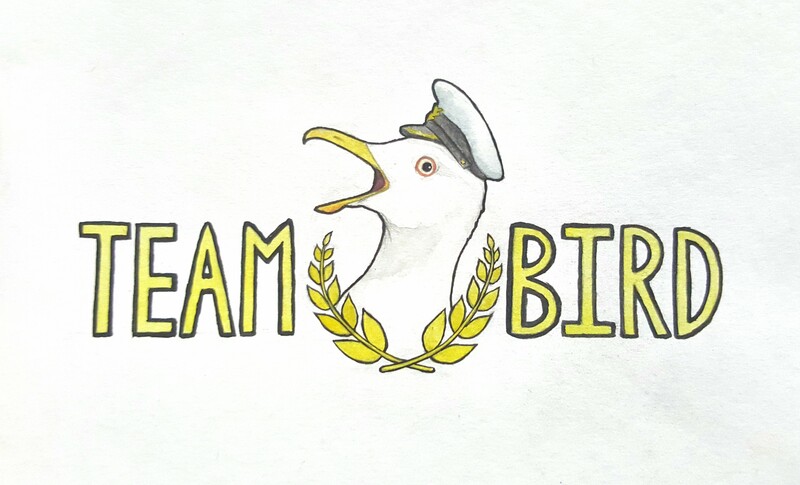 No wonder they called themselves Team Bird, the plot brainstorming must have been done while everyone was hella high. Did you know that birds have their own gods? Well, "gods" is kind of a term we're not meant to use. We're supposed to use "Apex-tier Pluripotent Entity", but nobody around's gonna enforce that, so why bother? Anyway, one day, we did something to piss off one of the gods. He got so angry that he came down from his high-and-mighty throne in who-knows-where and tried to wipe the human population off the face of the Earth by giving them bird minds. It worked, and now I think we're all screwed. Who are we? We're MTF-Eta-4, otherwise known as "Begone Thoth". I swear to Medila, I'm going to track down and peck whoever decided on that name. I digress. It's our job to uphold the mission of the Old Foundation. Seventy-five birds against seven billion humans, a god, and Medila-knows how many anomalies (some of them from Thoth himself). The odds are bleak, I know. But we've got brains, determination, and a whole lotta bird-power. If we pull this off right, we can stop this apocalypse. What if I can't/don't want to read all of these pages? EE-3570 will summarize the scenario for you, and the Avian Anthologies + Umbral Migratory is where all of the action is. If you want, or if you’re really starved for time, you can also skip SCP-3095, as it can be summarized as "birds that are scientists that work for the Foundation". However, if you do have the time, we heavily recommend reading the rest of the material. It will give more context to this universe, and it’s all really, really good stuff!